Music from 50’s, 60’s and 70’s greatest artists including Buddy, Elvis, Beatles, Queen and more! Tickets available online here or 01603 868680, Drayton Post Office, The Kitchenary (Taverham Nursery), Abbotts Estate Agents – Victoria Road Taverham and Pymm & Co Estate Agents – Thorpe Marriott. Please bring all the family and experience live music locally!! We now have Under 16’s priced at just £1 so a great opportunity!! We look forward to seeing you soon. Check out our engagements list for up and coming shows! After our “recovering from Christmas” months, rehearsals are now well under way for our “Brass Rocks” concerts (details below). We are ready to “raise the roof” of the village hall and we know you will enjoy the classic rock/pop tunes, superbly arranged for brass. The new CD is in the final stages of production and will be available very soon – In January we had a long day in the studio, recording some twenty-four tracks. Recording is a totally different experience to playing concerts and for many of our younger players it was their first time in the studio. The senior soloists did amazingly well, often laying down the track in one take! – the effort and energy at the recording session was excellent and we can’t wait to hear the final mix – we will let you know when it is available! 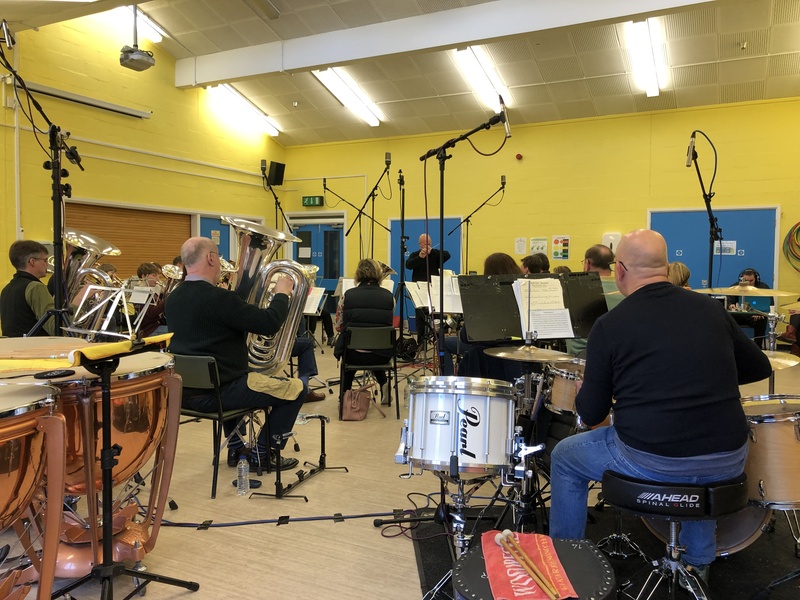 Under the direction of Ian Colman MBE who has been Musical Director for 25 years, Taverham Band specialises in concert work and undertaking a number of exciting and varied engagements during the year. In recent years we have performed for HM Queen Diamond Jubilee Garden Party, Sandringham Flower Show, Menin Gate (Ypres, Belgium) and in 2018 at Windsor Castle. The band has a policy of focusing on entertainment for the general public whilst at the same time giving experience and encouragement to all its members, from ex-professional musicians to youngsters working hard to develop their skills. The band has 40 members and rehearsal numbers average 26 players. Quality instrument available. 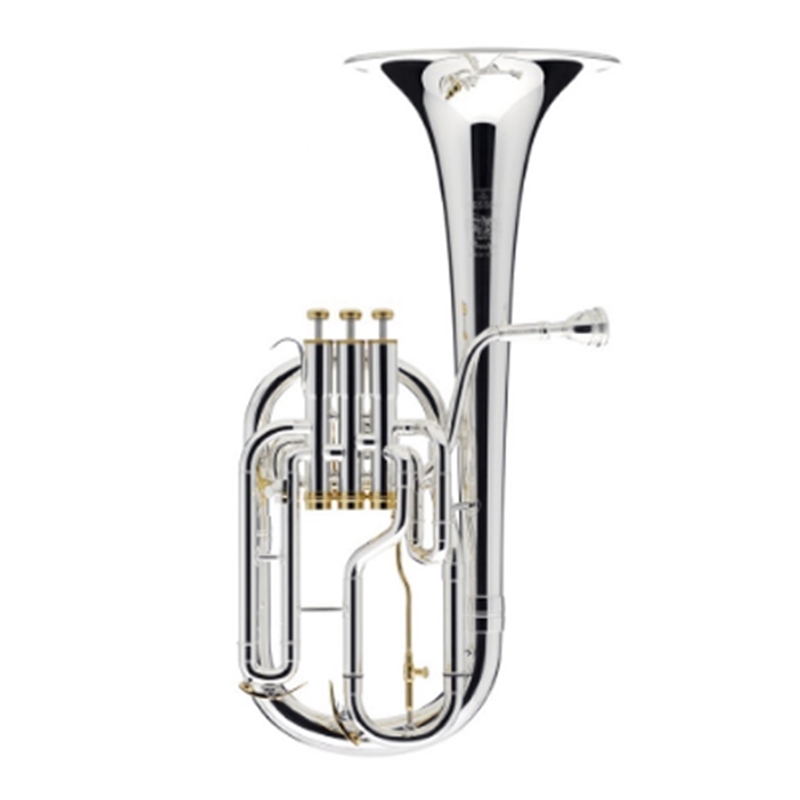 Taverham Band is looking to welcome an additional tenor horn player. 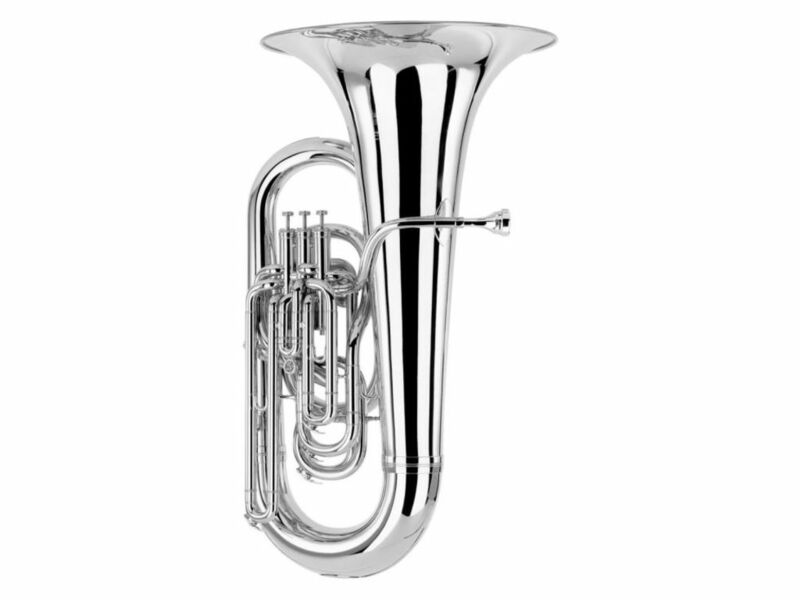 Taverham Band is looking to welcome an additional Eb or Bb bass player. If you want to be part of a friendly, sociable and progressive Band then please get in touch. Well the January ‘quiet period’ has passed and the band will have just made a new CD under the auspices of an experienced professional recording company which will be available (at a remarkably favourable price) at our Spring Concert. An ideal present for Easter! Our Christmas period was as busy as ever with 9 concerts and 6 carol playing sessions over about 5 weeks! These days, by the time one arrives at the beginning of December the focus on Christmas celebrations has been in full swing for several weeks. It would have been no great surprise if Father Christmas had turned up at a Halloween Party to the sound of sleigh bells! A proposal to ban any mention of Christmas prior to Remembrance Sunday would surely command overwhelming support…. November 11th this year of course marked the Centenary of the Armistice ending the Great War. The Band were privileged to perform on a number of occasions an imaginative and poignant programme of music both celebratory and commemorative, interwoven with recordings of WW2 wartime Churchillian speeches, and reminders that 2018 also marked the Centenary of the Royal Air Force. Our participation in the Remembrance Day service was the culmination of a very special period of national and local recognition of our history and shared experience. If April was the cruellest month for the poet, December is certainly the busiest for the Band as we embark on a series of concerts – 12 at the last count – up to and including Christmas Eve. Tickets are selling fast for our popular Village Hall concerts on 14th/15th – book now to avoid disappointment. It won’t all stop there. 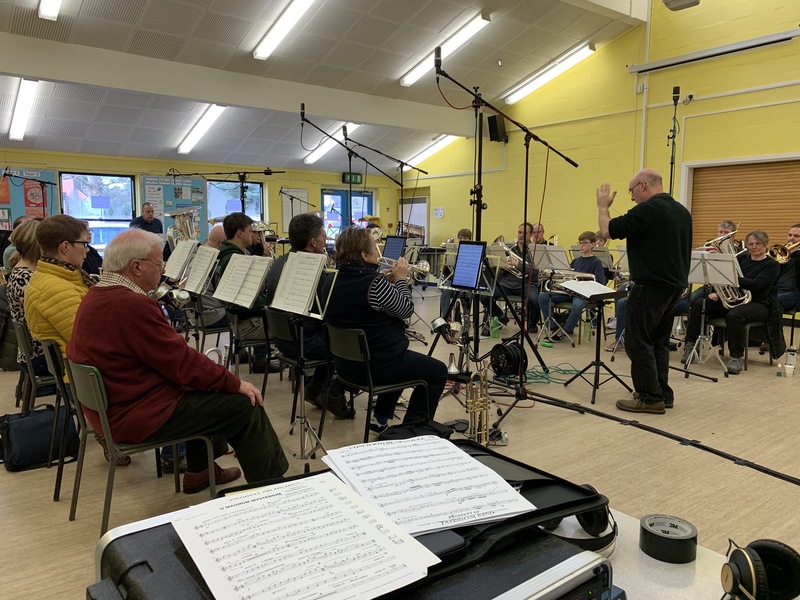 In January 2019 the Band will be recording a new CD under the auspices of an experienced professional recording company which will be available (at a remarkably favourable price!) at our Spring Concert. An ideal present for Easter! Fun and festive music for all the family! All your favourite carols and Christmas music in the lovely candlelit church. Tickets available from: Online click here, 01603 868680, Drayton Post Office, The Kitchenary (Taverham Nursery), Abbotts Estate Agents – Victoria Road Taverham and Pymm & Co Estate Agents – Thorpe Marriott. We look forward to seeing you soon. Check out our engagements calendar for up and coming shows. Well it’s fast approaching our busy festive season but let’s first take a moment to reflect on our recent outings! Firstly, can we thank those of you who attended our October concerts. I hope you enjoyed the shows, your support for which is very much appreciated. We included many war time, RAF related, tunes as well as some West End classics! It really was a magnificent show and your response made the production effort so worthwhile. The logistics of putting on the Taverham shows are many and varied and there is so much work that goes on behind the scenes to make the shows happen. The hall is booked many months in advance and the band and junior band is then rehearsed for several weeks before the show. During this time the shows are promoted and ticket sales systems are put in place. On the Thursday before the show, an army of volunteers build the stage as, of course, it is not a permanent fixture – if only it were! It takes about 2 hours to build the stage before the extensive percussion section can be placed in position. The lights and PA are then set up and checked before we can finally head off home. On the evening of the show the catering team arrive to prepare the interval refreshments – they also provide a buffet for the band and crew after Saturdays show! After Saturdays show the audience leaves and the task of dismantling the stage begins! Its hard work but your enthusiastic response makes it so worthwhile. Tickets available online here , 01603 868680, Drayton Post Office, The Kitchenary (Taverham Nursery), Abbotts Estate Agents – Victoria Road Taverham and Pymm & Co Estate Agents – Thorpe Marriott.